← Are You Paying More For Less? The question for today is, “Where do you want to be 5 years from today?” 5 years ago, I was just another college student finding my way through life; I was working at FedEx, finishing up my undergraduate studies in Political Science, and working with The Teen Court & Restitution Program in the local community, while balancing a relationship. Since then, I was fortunate enough to graduate and be accepted into the Master’s of Public Administration Program where I was granted a Graduate Assistantship working with grant research and future publishing for public school systems. Later, I conducted various research for the State of North Carolina consisting of Broadband Accessibility, Poverty, and other Social Economical Studies. Meanwhile, I also briefed the President Pro-Tem of the Senate and Speaker of The House of my findings and considerations going forward. After graduating with my Master’s in 2010, I was fortunate enough to move to Raleigh, NC where me and my longtime girlfriend moved into an apartment together. Here I found an enjoyable, low-stress job that consisted of research and working with clients with businesses throughout NC. In 2011 me and my lovely lady got engaged, and now as of 2012, we are currently house shopping. As you probably can relate or attest to, a lot can happen in 5 years. One of the key goals in life should always involve having a plan. Having a plan allows you set personal goals and develop a new structured path to explore. A CEO once told me, “You sure as hell don’t become successful, WITHOUT having a plan!” What he said is right, becoming successful involves not only having a plan, but it also involves sacrifice, patience, and persistent work. Meanwhile, three things that I monitor regularly within my plan are personal goals, job outlook and availability, and expenses. 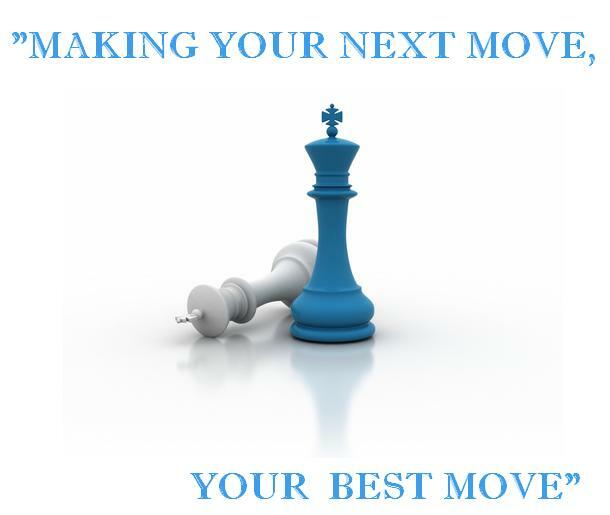 Whatever route you choose to pursue, it’s important to Have a plan, and Make Your Next Move, Your Best Move. Nice post, It’s great how you can look back over the past few years and see how much you have accomplished. Thanks, 5 years can fly by in no time at all. Planning is everything.